Stress and hypothalamic–pituitary–adrenal (HPA) axis dysregulation have been associated with externalizing behavior in adolescence, but few studies have examined these factors in a treatment context. This study investigated the relationship between stress, cortisol, and externalizing behavior among 120 adolescent males (mean age = 15) receiving Multisystemic Therapy (MST). To examine the differential relationship of cortisol with various types of stressors, self-report measures assessed lifetime stress, current episodic stress, and daily hassles. Morning and afternoon cortisol samples were collected to examine whether the relationship between stress and treatment outcome depended on the youth’s biological stress levels. Regression analyses indicated that awakening cortisol levels moderated the relationship between daily hassles and externalizing behaviors at post-treatment. More specifically, higher levels of daily hassles predicted worse outcomes only among adolescents with high levels of morning cortisol. 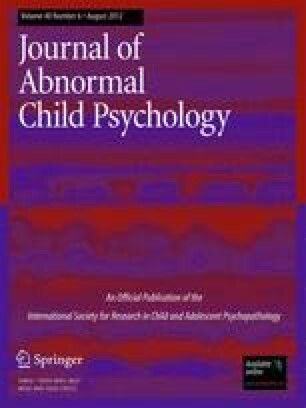 In addition, lifetime stressors and afternoon measures of cortisol interacted to predict changes in caretaker reports of externalizing problems and youth arrests following treatment; lifetime stressors were positively associated with externalizing behavior when adolescents had low levels of afternoon cortisol. Implications for theory and future directions for evidence-based treatment are discussed.